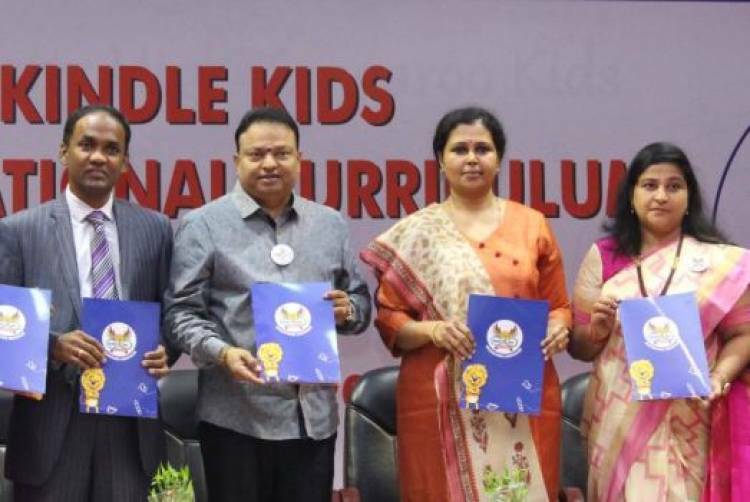 Dr. Ishari K. Ganesh, Chancellor of Vels University and Chairman of Vels Group of Institutions launched the KINDLE KIDS INTERNATIONAL CURRICULUM on 9th February (Saturday) 2019. The Launch Ceremony happened at Vaels International School in Injambakkam, Chennai. Ms. Krithika Reddy, Editor - The Hindu In School graced the occasion as the Chief Guest and Dr. Antonius Raghubansie, Head of Learning Services - British Council of India was the Guest of Honor.